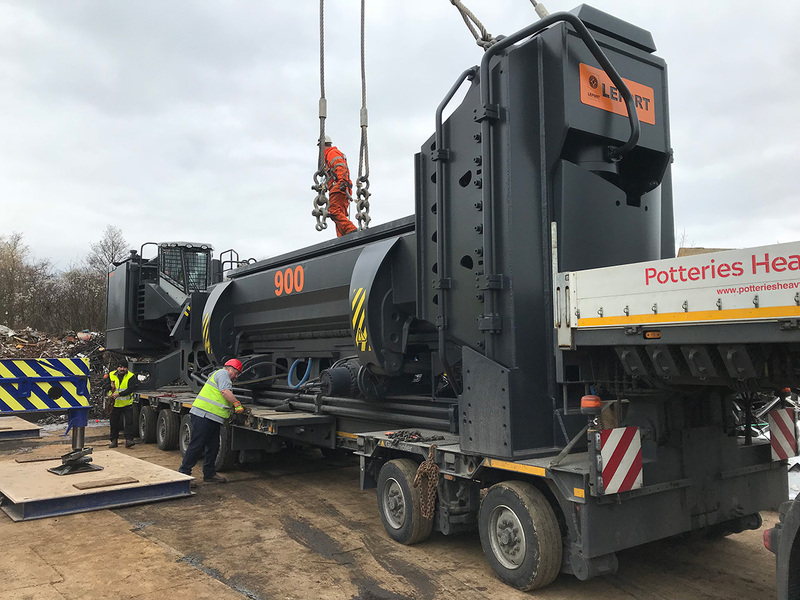 This machine is suitable for processing most scrap metal and is equipped with a high performance engine making it extremely powerful and quick. With this robust edition, Entrec will now be able to process more scrap metal than ever before, which isn’t just great news for Entrec but for their customers too. As always, Entrec promise to deliver competitive prices for any scrap metal, with excellent customer service. Taking delivery of the new Le Fort Conkeror 900 Ton Shear certainly took some doing! This one-piece, static machine was delivered to the site and lifted into position by crane.